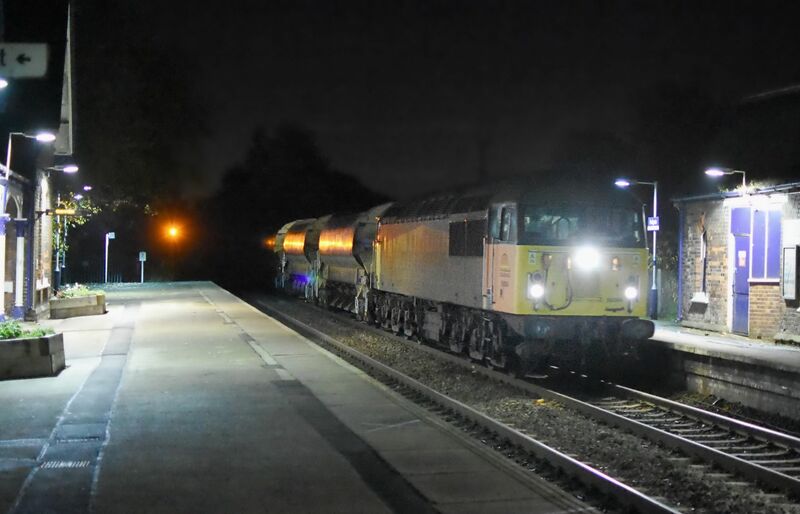 Colas ‘Grid’ visits CLC line: With the exception of test trains and MPVs during RHTT season, there is no booked freight along the CLC line from west of Trafford Park to Liverpool South Parkway, with the staple diet being units from Northern Rail and East Midlands Trains. Freight along this line is very rare and are normally only seen during the early hours of the morning. It is strongly believed that a class 56 hasn’t visited this line since their days of operation with EWS, as such despite the challenging lighting conditions one of our site visitors, Tom Swift, recorded the rare passing. In the above image, 56094 is seen at Padgate (near Warrington) on 11th November, working the 6C92 Crewe Basford Hall – Liverpool South Parkway. 37099 ‘Merl Evans 1947-2016’ was on the rear. Photo copyright: Tom Swift. Stay of execution for 56303: Damaged during a shunting related incident at Wembley earlier in the year, 56303 has now been moved to Willesden F Sidings to allow basic repairs to be done to it. This, in turn, should enable the locomotive to be towed to Leicester or Eastleigh at a later date, so that more extensive repairs can be undertaken. Speculation several months ago was rife that the loco, then facing a more uncertain future, could be sold to GB Railfreight for use as part of their Class 56 re-engineering project. EMDC occupants: 56018, 098 & 104 remain at Castle Donington EMDC with the former EPS ‘Night Star’ generator coach vehicle and did not move on 13th November, as was originally planned. 47815 worked 5Z59 with just two blue barrier vehicle coaches instead. Also, DC Rail’s 56103 has now returned to Willesden after moving 33053 from Knighton Junction to Leicester on 12th November with 50008.